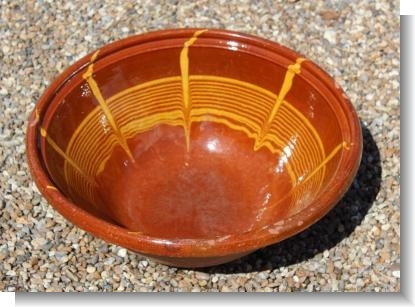 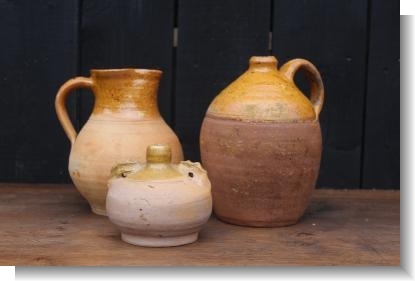 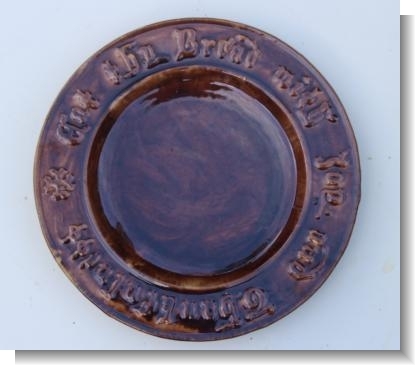 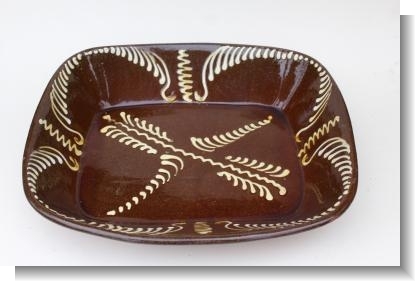 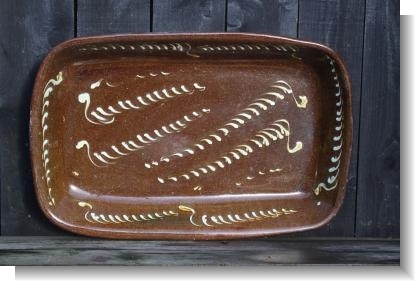 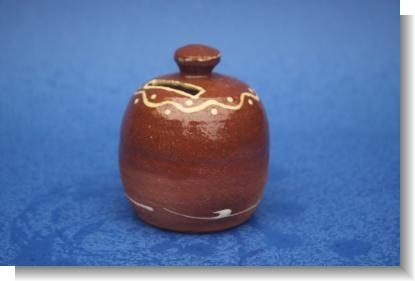 Slip ware & Country, that is country pottery made for the local area, sometimes referred to as peasant pottery rather than industrial. 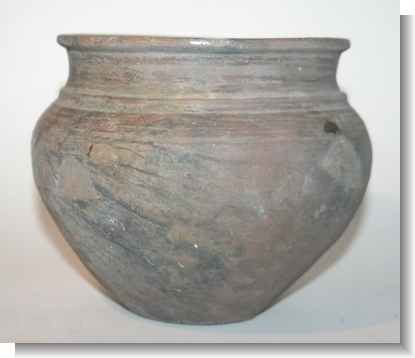 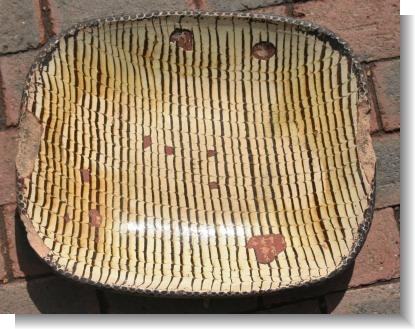 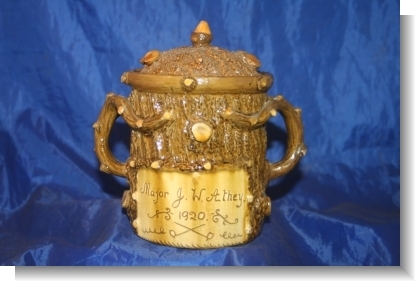 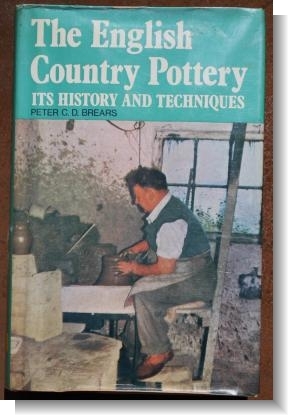 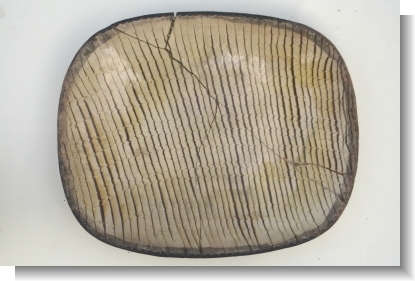 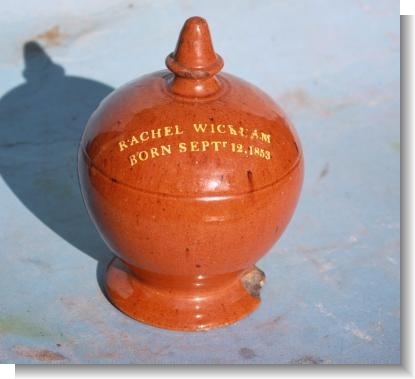 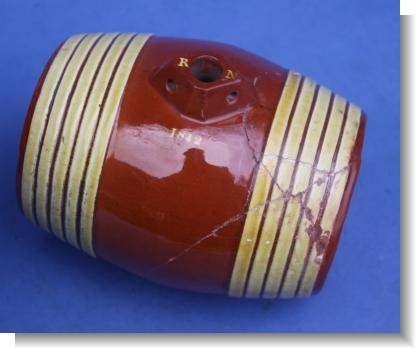 Although at once apparent it is difficult to define and extremely hard to express in words how a pot made at a country pottery differs from that from a factory. 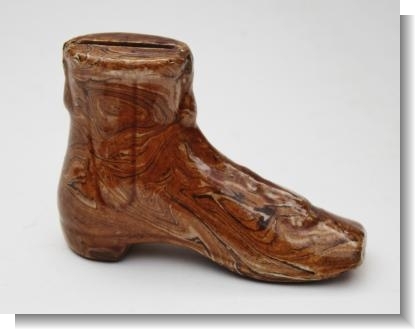 There is no fundamental unlikeness and both are fashioned from identical materials, and yet one is left with the feeling that they are the product of widely dissimilar order of society. 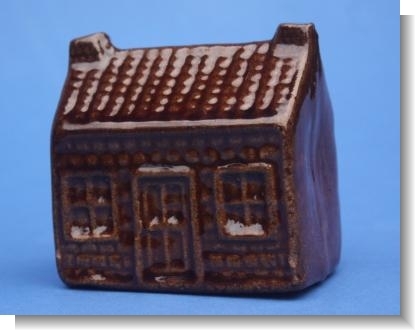 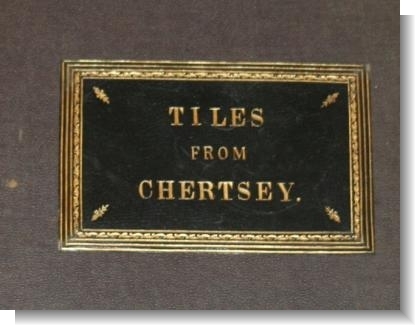 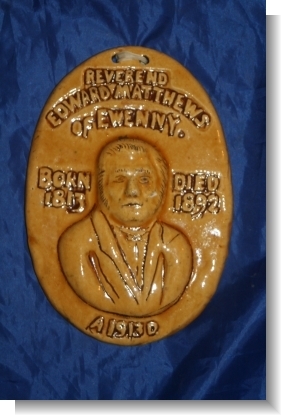 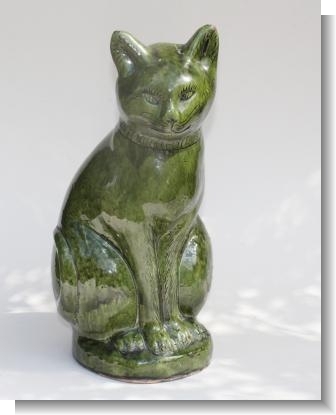 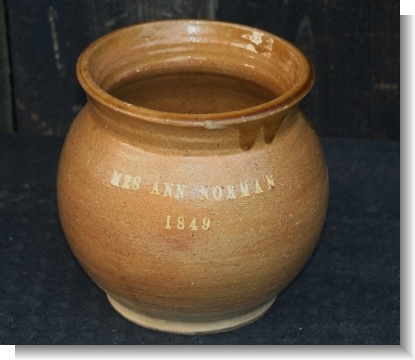 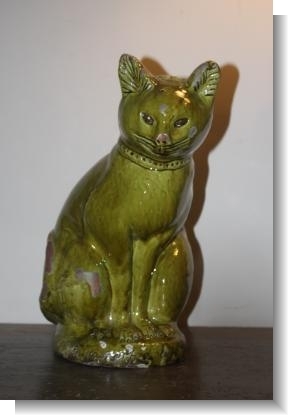 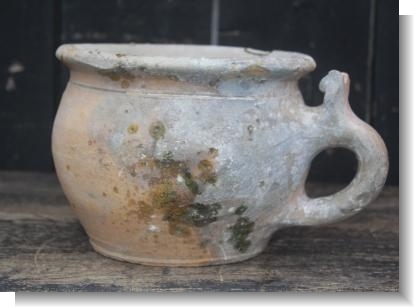 So this group will consist of all pots made before the industrial revolution and the potters of the likes of Wedgwood & Spode, and will exclude all Tin glazed earthenwares & Delft. 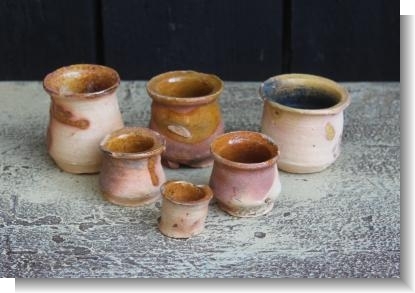 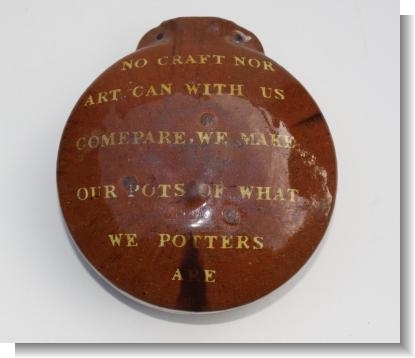 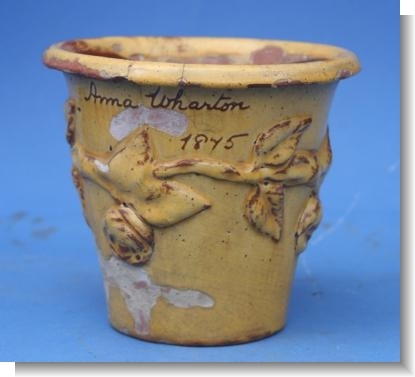 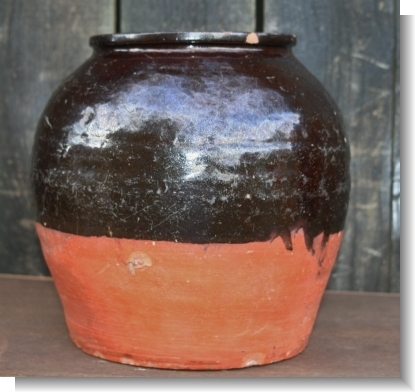 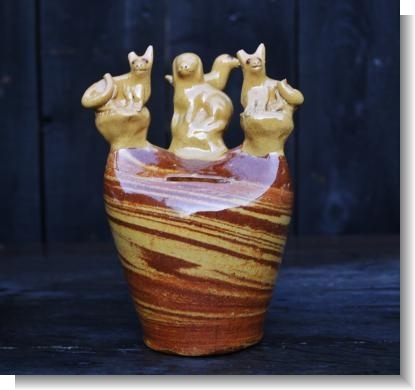 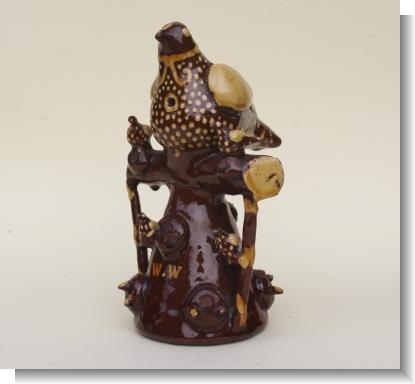 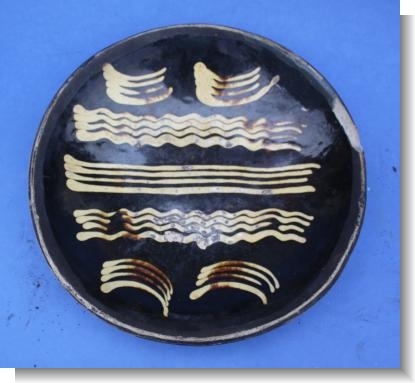 These are in general pots made for rural folk by the local potter, who was involved in the making , decorating and firing the pot him self, a distinction I make from industrial or factory pots that are generally thrown, decorated, glazed and fired by different people. 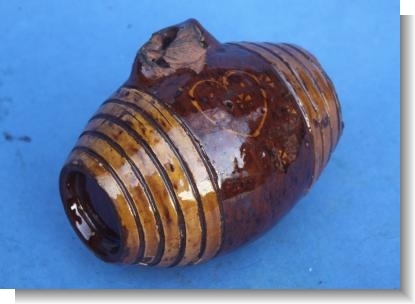 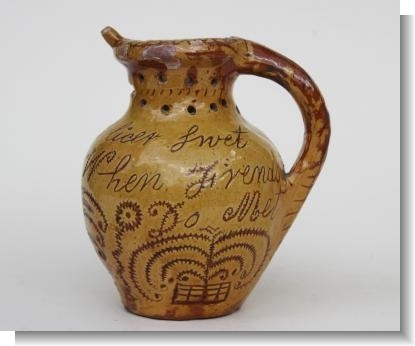 IMPORTANT COLESHILL FLAGON by Thomas Slade dated.1819. 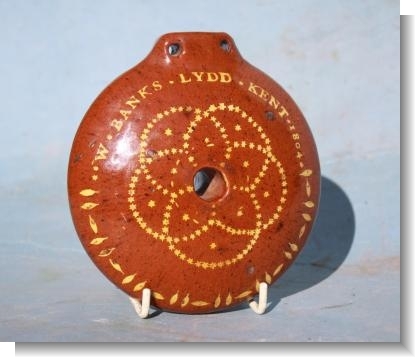 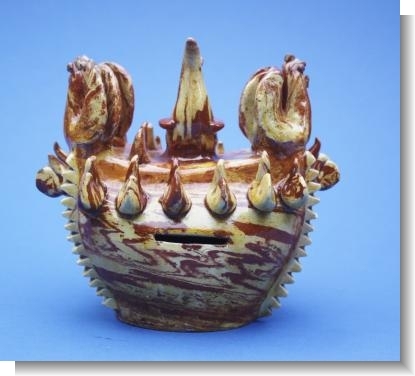 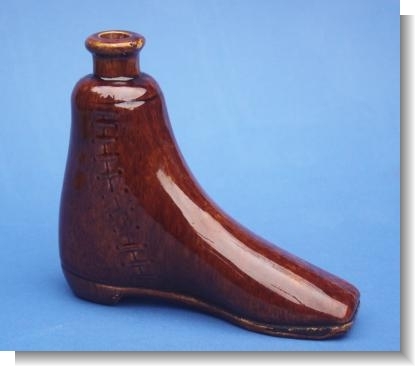 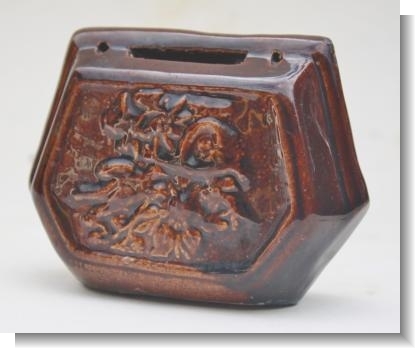 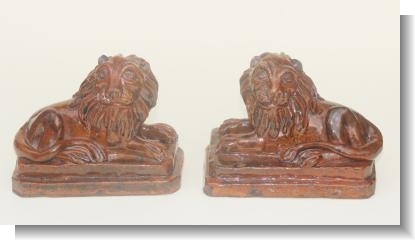 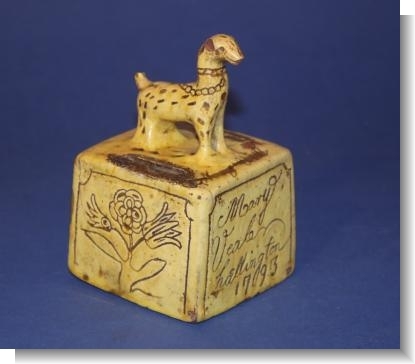 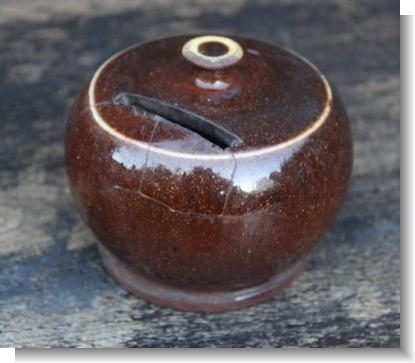 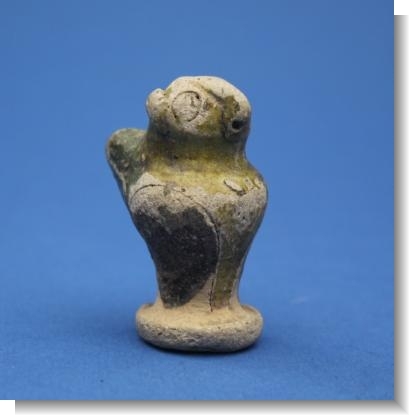 MARY VEALE HALLINGTON 1793 NORTH DEVON MONEY BOX. 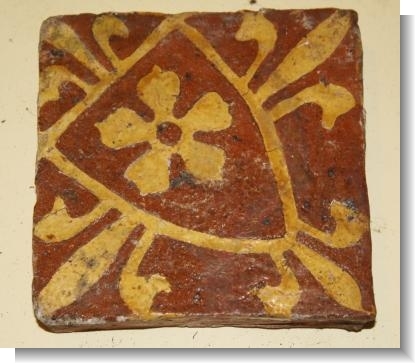 OXFORDSHIRE MEDIEVAL TILE Fleur de Lys. 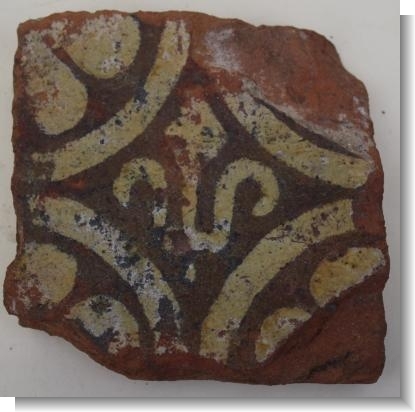 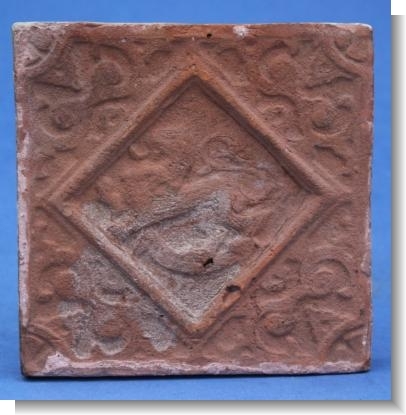 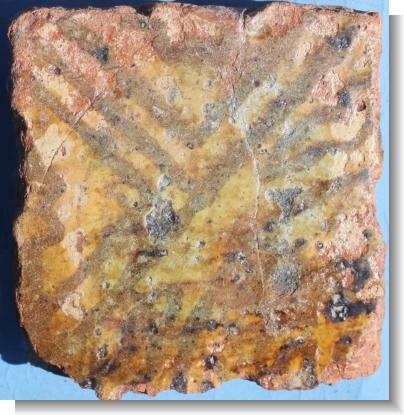 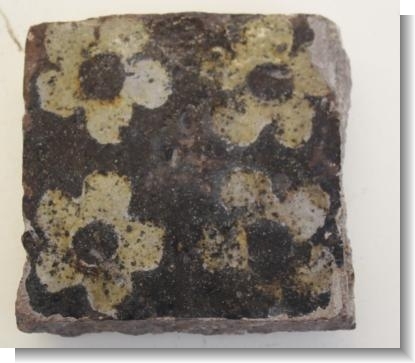 Good 14th CENTURY MEDIEVAL TILE ULVERSCROFT PRIORY ! 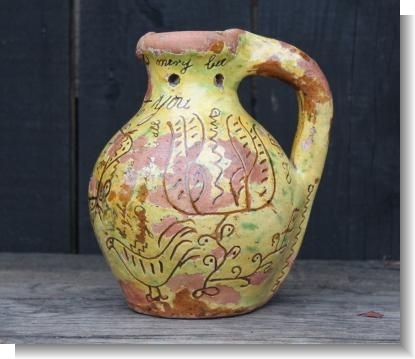 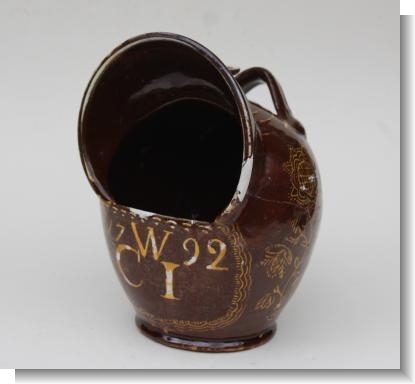 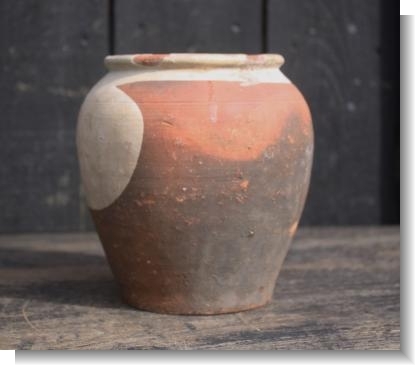 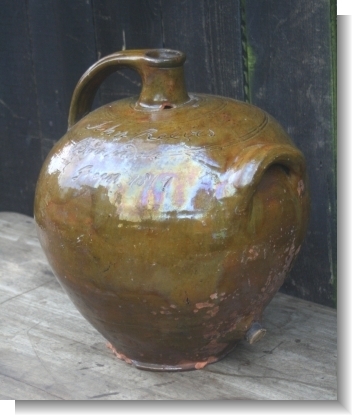 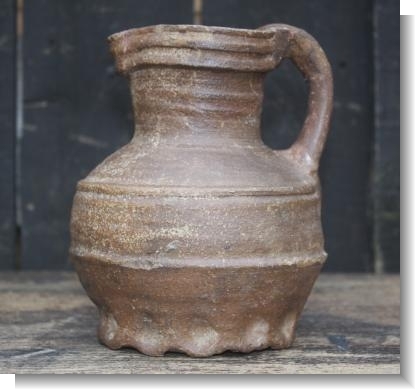 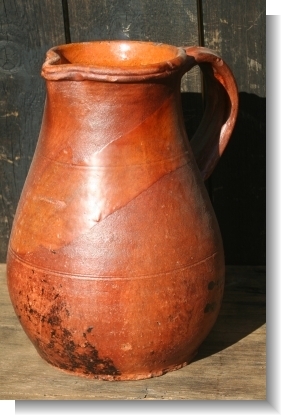 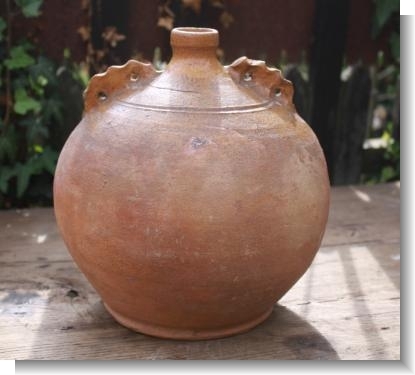 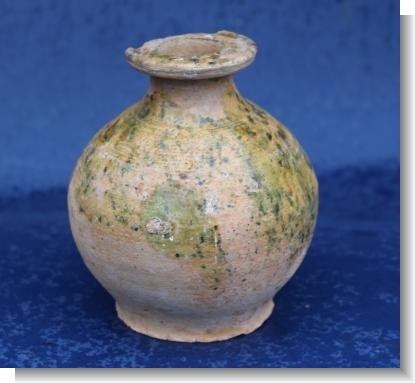 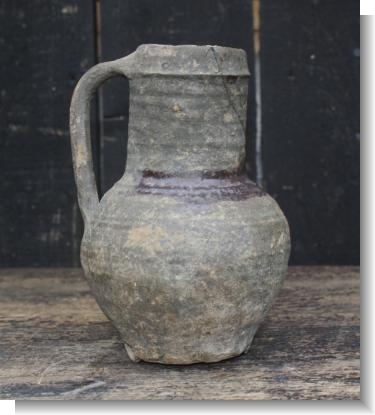 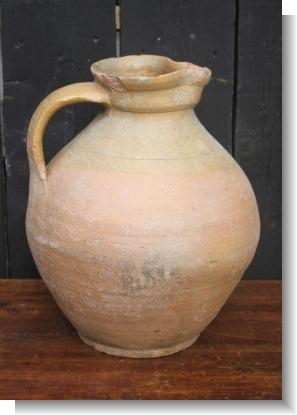 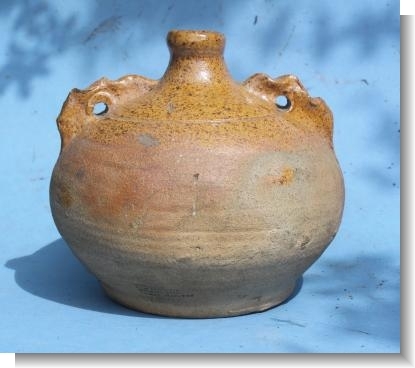 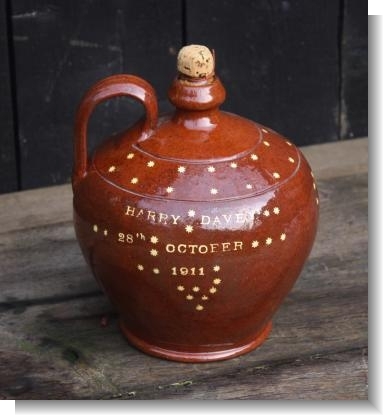 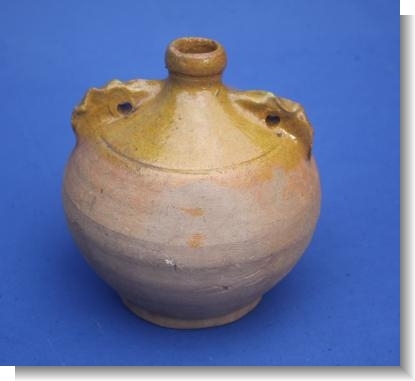 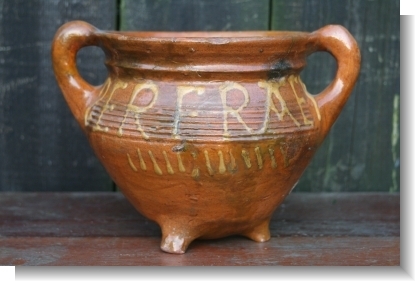 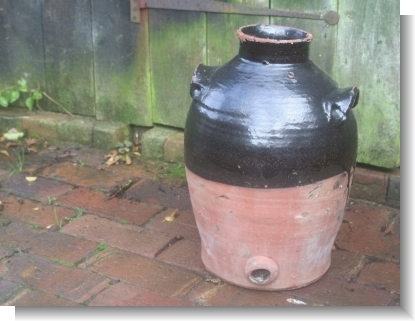 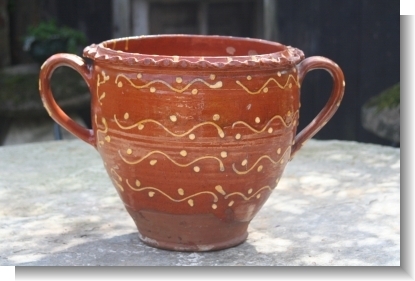 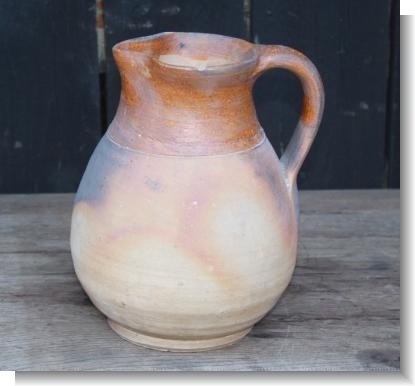 LARGE VERWOOD POT BELLY JUG, 19th C.
RARE FLASK by JOHN SIGGERY , HERSTMONCEUX POTTERY 1832.